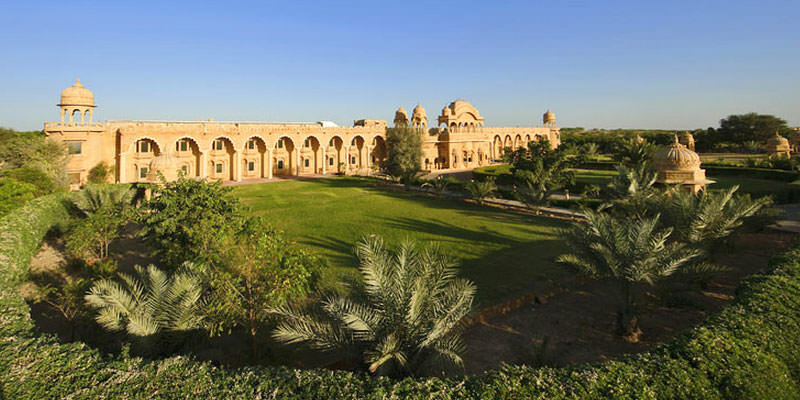 Hotel Fort Rajwada is a luxury 4-star heritage hotel located at Jaisalmer - The Golden City. Built in 6 acres of land, this princely home has breathtaking interiors done in the traditional style blends perfectly with the range of contemporary amenities. Located in the peaceful countryside on the outskirts of the golden city is this oasis of serenity & comfort. This fort was the former home of the royal family of Jaisalmer. Tourist will enjoy the intricate designs, minarets and architectural fusion of this hotel. Living in this universe of life, you will feel the charm of nature which will render a soothing touch of your tired eyes & fatigue nerves. Centrally air-conditioned with 91 Deluxe rooms and 04 suites elegantly & thoughtfully furnished to make your stay memorable and nostalgic. The exquisite intricately carved ‘Jharokhas’ (windows), reminiscent of a real palace would verbalize their glorious past. 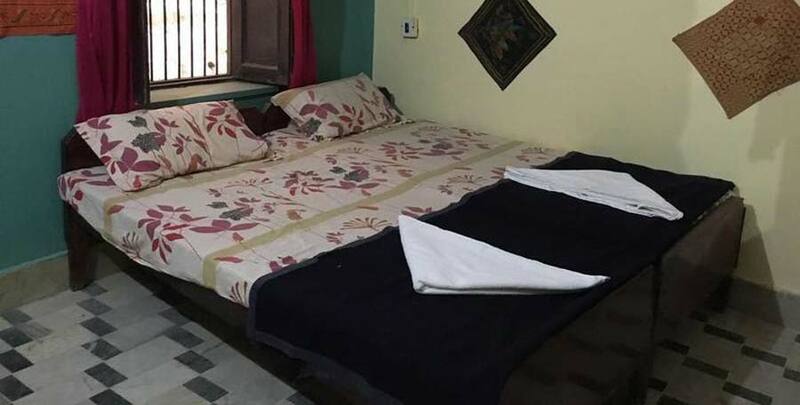 All rooms feature a spacious attached bathroom, satellite television , telephone and 5 star facilities in all rooms. The two restaurants & bar have an unmatched view of the victorious “Sonar Fort” from its large windows. ´ROOPAL´ – The 75 cover multi cuisine restaurant offers Rajasthani, Indian & European delicacies round the clock and serves as the Summer Dining Hall. ´Poolside Barbeque´ – Get the combined experience of barbeque by the pool side and a swim in the clear shimmering waters. ´SONAL´ – We are unable to comprehend the meaning of the last sentence “romance of the desert and brings alive the litany of the bards.” This may be re-examined and suitable corrections made if found necessary. ´PAATU´ – This well appointed bar provides a peaceful setting for sipping your favorite cocktail while chatting & viewing ‘Sonar Fort’ with 16th century ambiance complementing 21st century comforts. 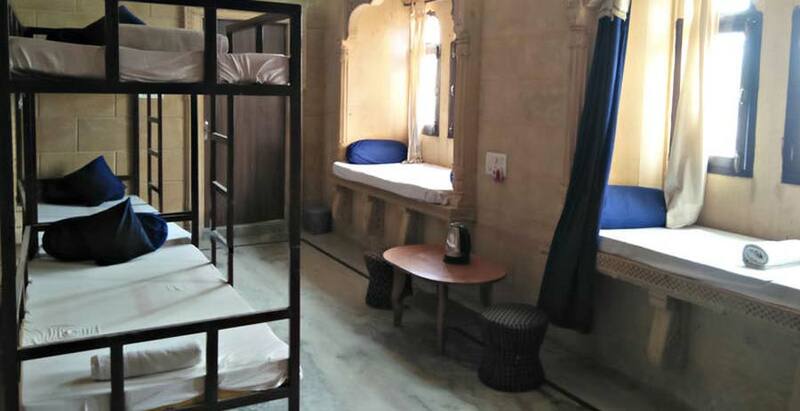 Fort Rajwada is located at hotel complex Jodhpur-Barmer Link Road, Jaisalmer.The hotel stands in a peaceful countryside on the outskirts of the golden city offering comfort. Nearest railway station is Jaisalmer Railway Station which is 3 kms far from hotel and nearest airport is Jaisalmer Airport at 6 km.(approx. ).